Crash simulation, cloud-based CFD modelling, design thinking and societal trends… presentations from the STC’s second Computer Aided Engineering special interest group (ACES SIG) – hosted by founding Cluster member EMW Law in Milton Keynes – are now available to download. Simply CLICK HERE for a re-cap of the event and to access the highly information presentations by Simpact Engineering’s Dr Tim Williams, Room 44’s Tristan Allen and TotalSim’s Dr Michael Peake. 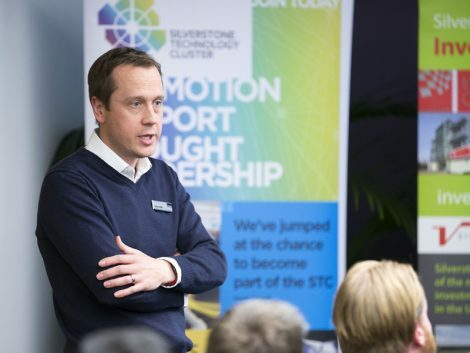 EMW’s Simon Arkell commented: “As a founding member of the STC we were delighted to host its second CAE SIG event at our Milton Keynes offices which attracted some of the UK’s best minds in all things relevant to computer aided engineering. “Each presentation was deeply fascinating and shows the STC is at the forefront of thought leadership in the UK’s high tech industry. “The STC membership continues to grow and the impact it is having within industry in the UK and potentially further afield is also empowering smaller but very innovative and forward thinking tech companies in terms of development and business opportunities – something which EMW strongly supports.